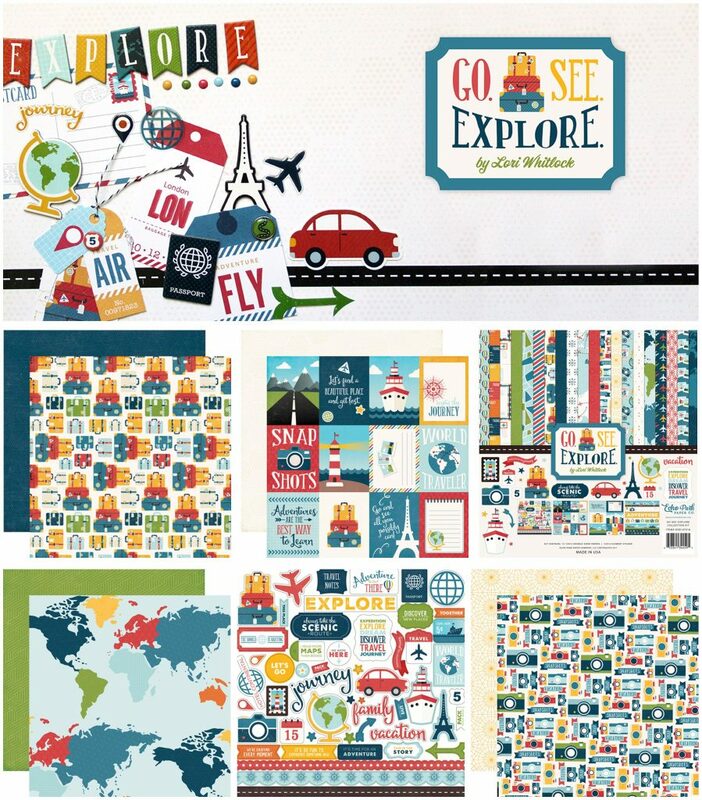 Designed by Rebecca, “Travel” is perfect for just about any adventure… here, there, and everywhere! We LOVE the tickets & cameras! 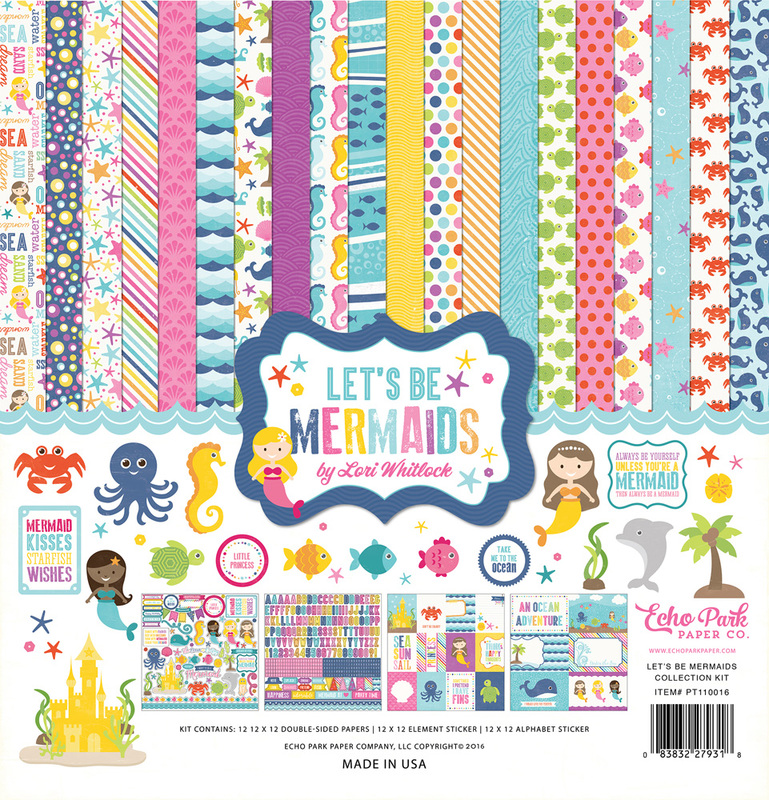 Author AdministratorPosted on July 28, 2018 Categories Catch Up KitsTags Catch Up Kit, Echo Park, Rebecca, scrapbook page, stick it down! 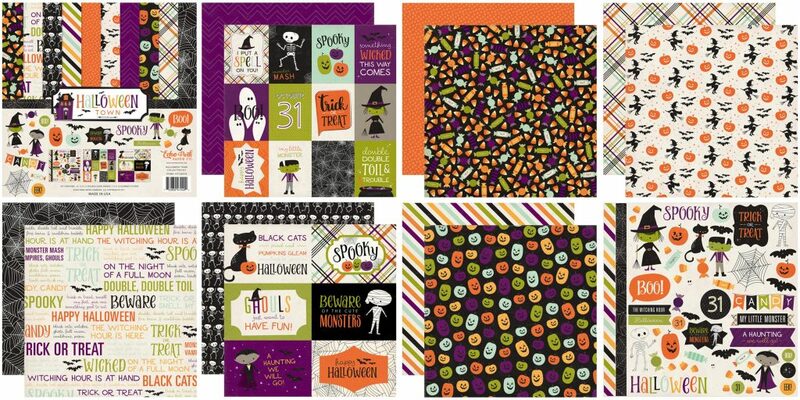 ~ NEW Echo Park & Carta Bella Arrivals ~ Fall, Halloween & Christmas Paper Collections! We’ve got your holidays covered! 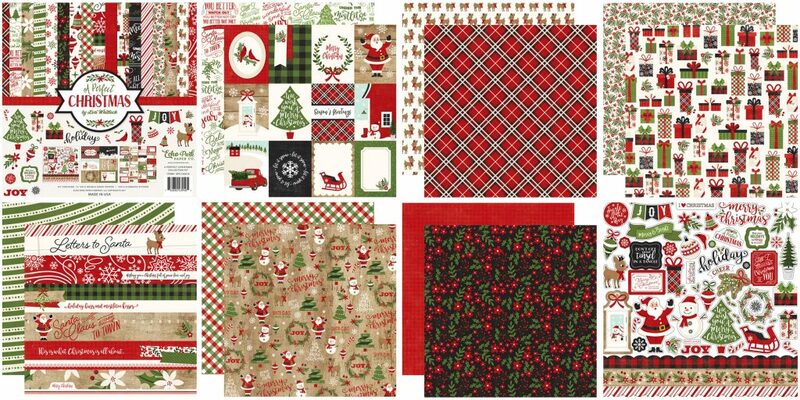 Echo Park “Wise Men Still Seek Him”… We received the FULL release of this collection! 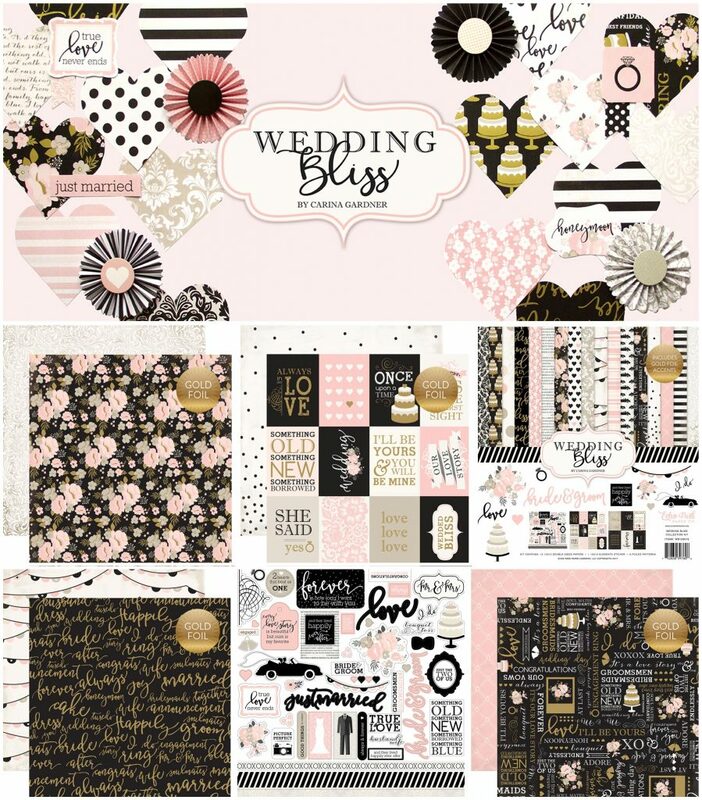 Paper, stickers, chipboard, dies, stamps, and more! Echo Park “A Perfect Christmas”… We LOVE the red, white and woodgrain with a smidge of black in this line! 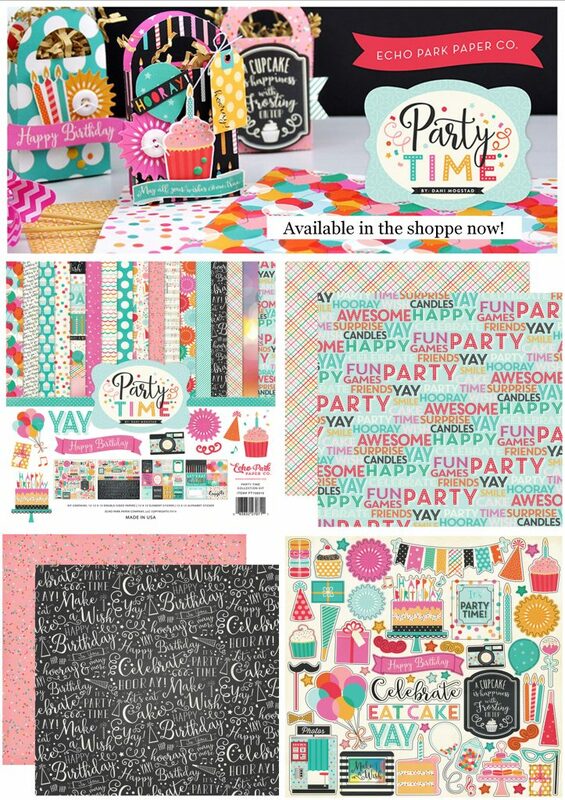 Full of whimsical imagery, this collection is perfect for cards, pages, albums, décor & more! 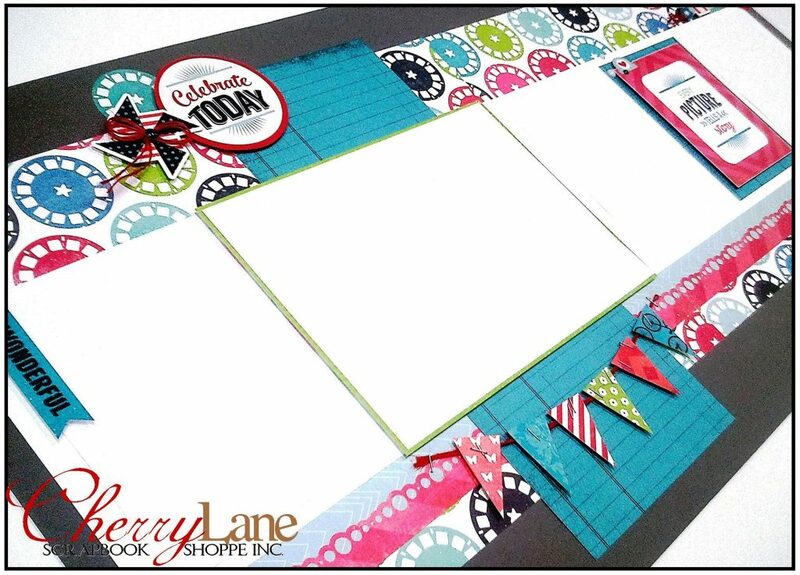 We received the FULL release of this line, paper, stickers, stamps, dies & oodles of embellishments, you MUST come see it in person! 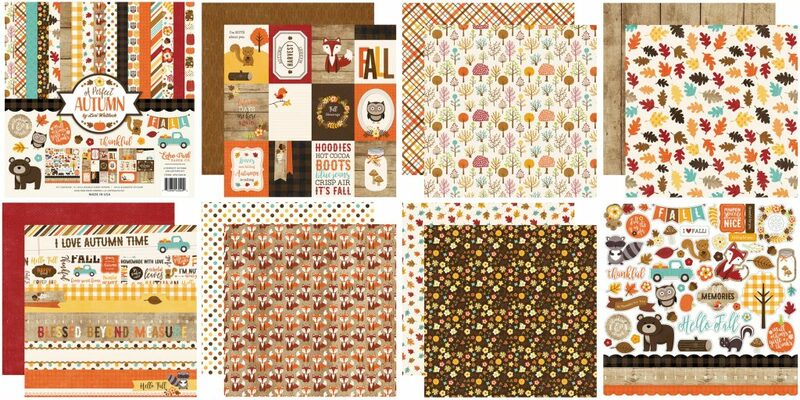 Echo Park “A Perfect Autumn”… We received the FULL release of ALL the goodies with this one too! This line is MADE for all the photos you’ve been taking in this gorgeous fall weather. PS: You are going to LOVE the stinkin’ CUTE little foxes! 🙂 Echo Park “Halloween Town”… This smaller collection is too cute to spook! 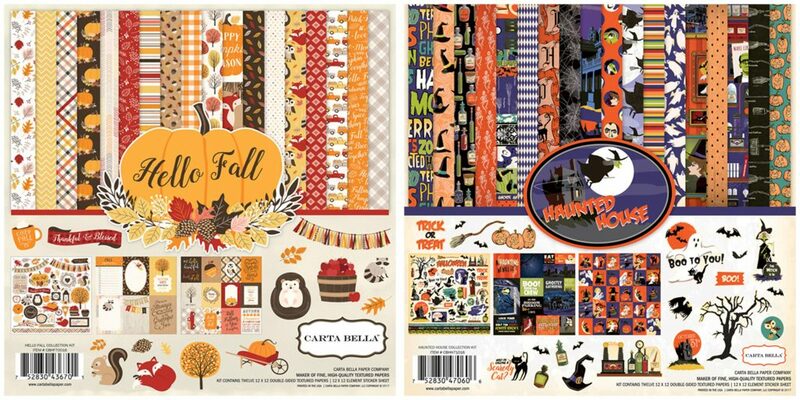 Full of fun, cute, not too scary imagery, it is perfect for documenting your little ghouls & goblins 🙂 Carta Bella “Hello Fall” and “Haunted House”… We received the collection kits only for these two vintage inspired two lines. 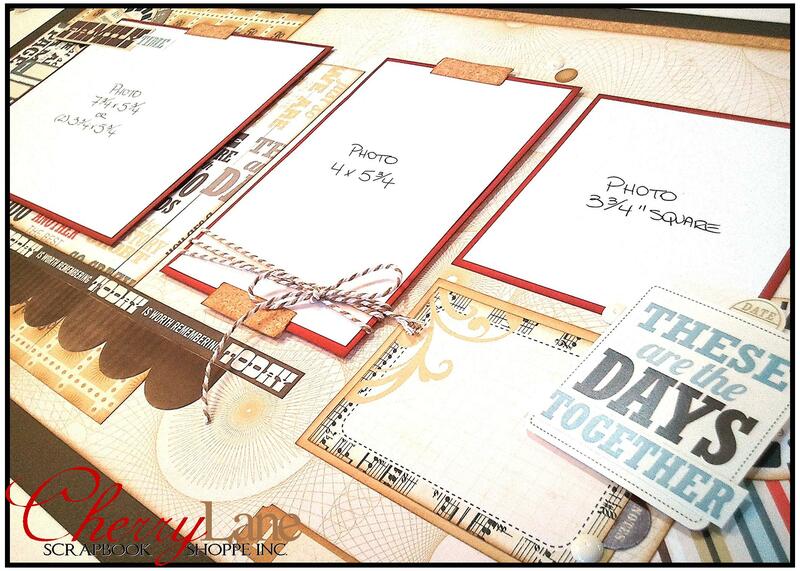 Kits include one of sheet of paper in the line, plus a 12×12 sticker, and they have just the right amount of goodies to document your memories. We love the vintage vibe of these collections for both photos past & present! 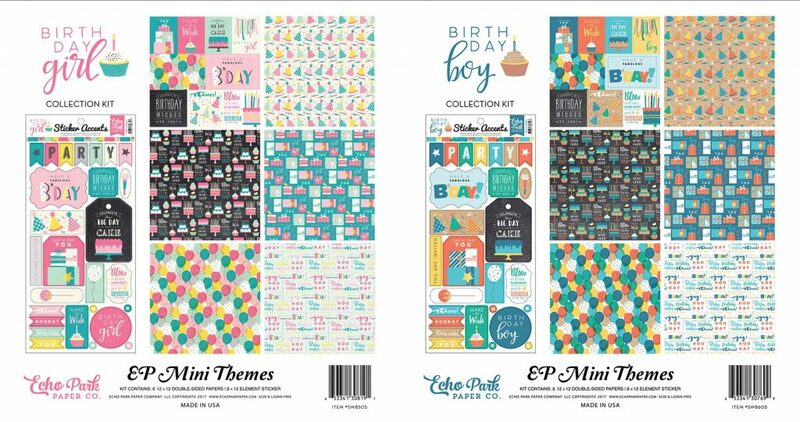 Take your papercraft projects on a big adventure with the Go See Explore Collection from Echo Park! 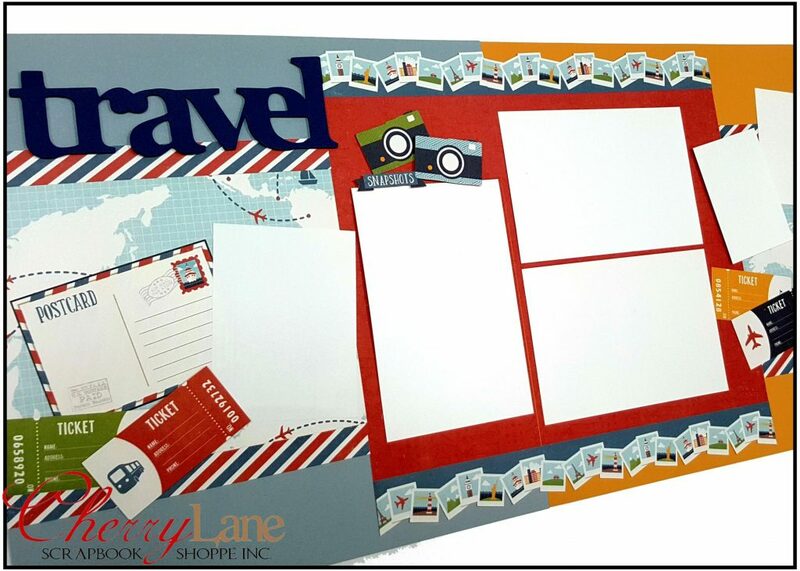 Whether your journeys are near or far, take your travel projects up a notch with the classic travel icons and sentiments in this fun line. 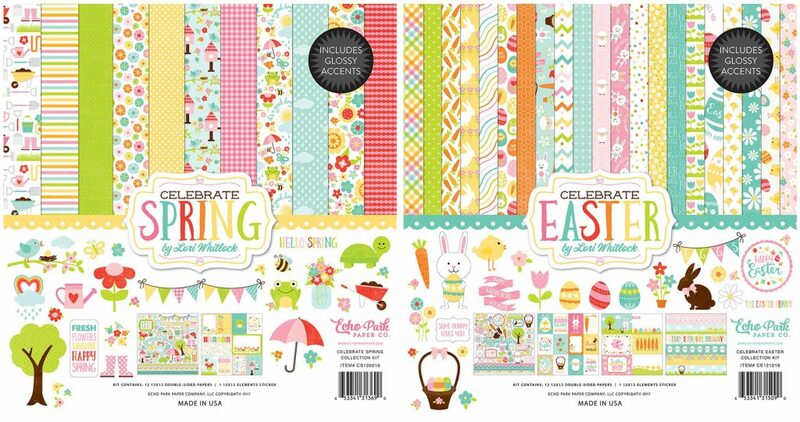 We received the FULL release including papers, stickers, buttons, brads, chipboard, enamel dots & words and more! 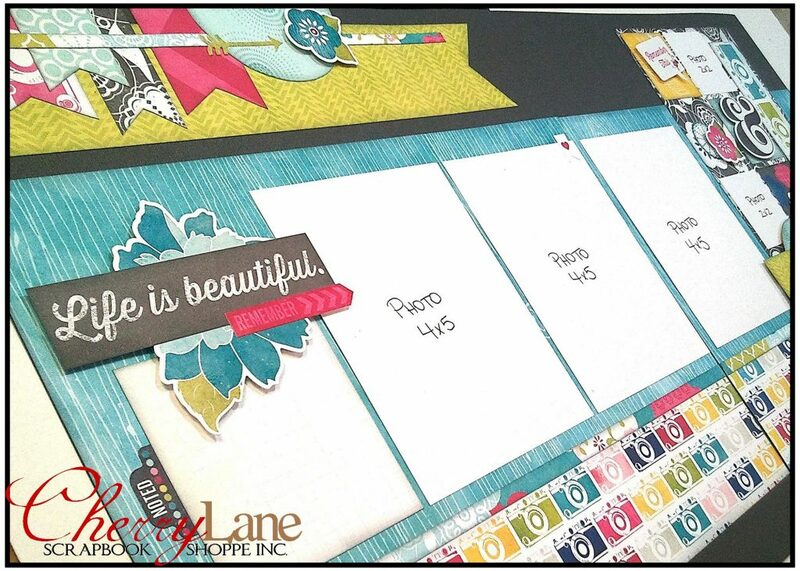 See it all here, but it’s always better in person… come get yours in the shoppe! 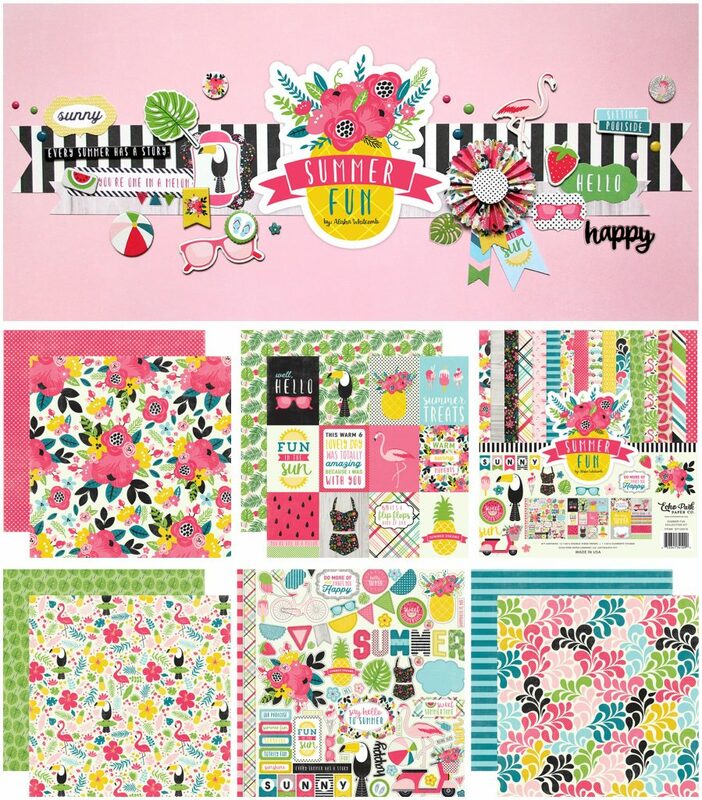 Keep summer around all year long with the sun drenched “Summer Dreams” collection from Echo Park! 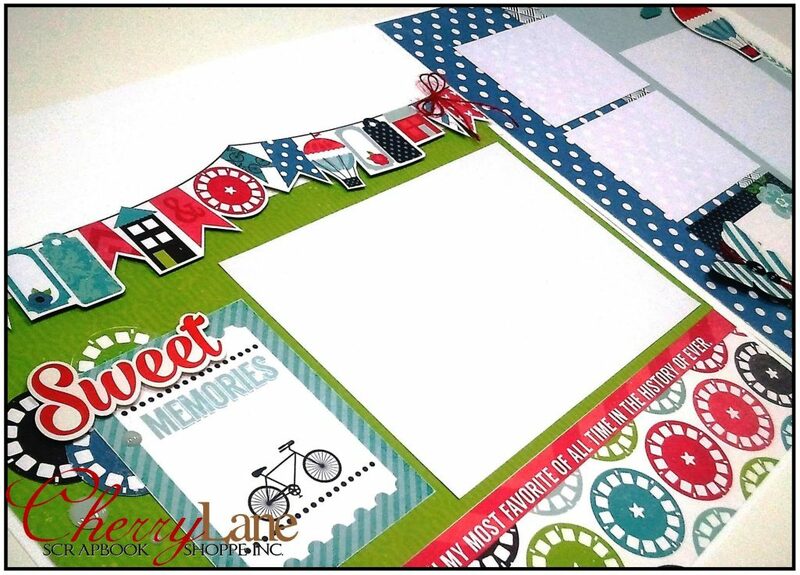 This fun line features imagery like ferris wheels, flamingos, tickets, cameras, ice cream, watermelon and more, this line is perfect for documenting all your summer memories. 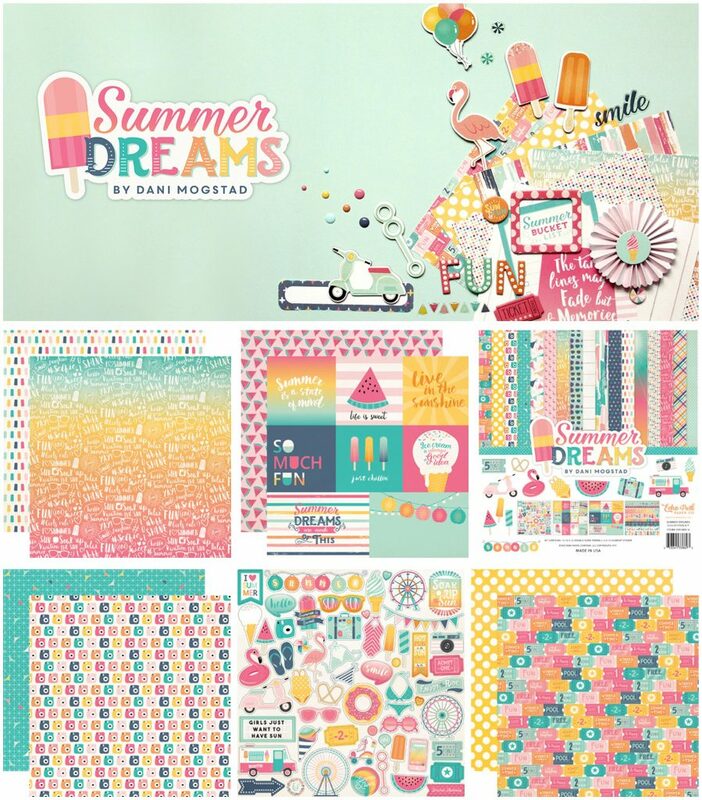 Soak up the sun, blow some bubbles, and scrap your summer photos with Summer Dreams! 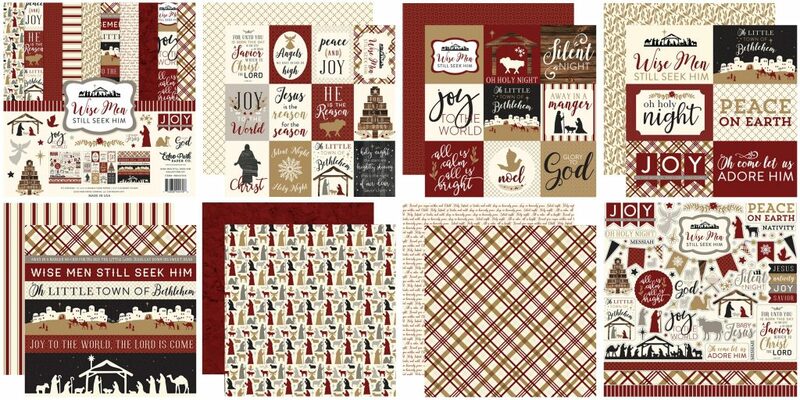 Click here to see the full collection, the come on in, we have it ALL in the shoppe right now… come and get it! NEW Echo Park Collections Are HERE! We have SO much NEW goodness to share with you! All of these fun new collections from Echo Park are in the shoppe now… come and see and grab your favourites while they last! 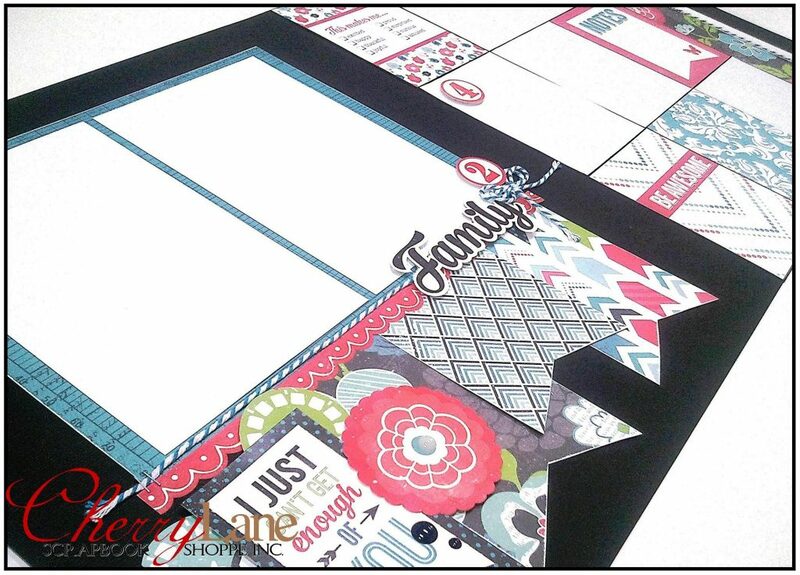 We have another NEW layout kit to share with you! 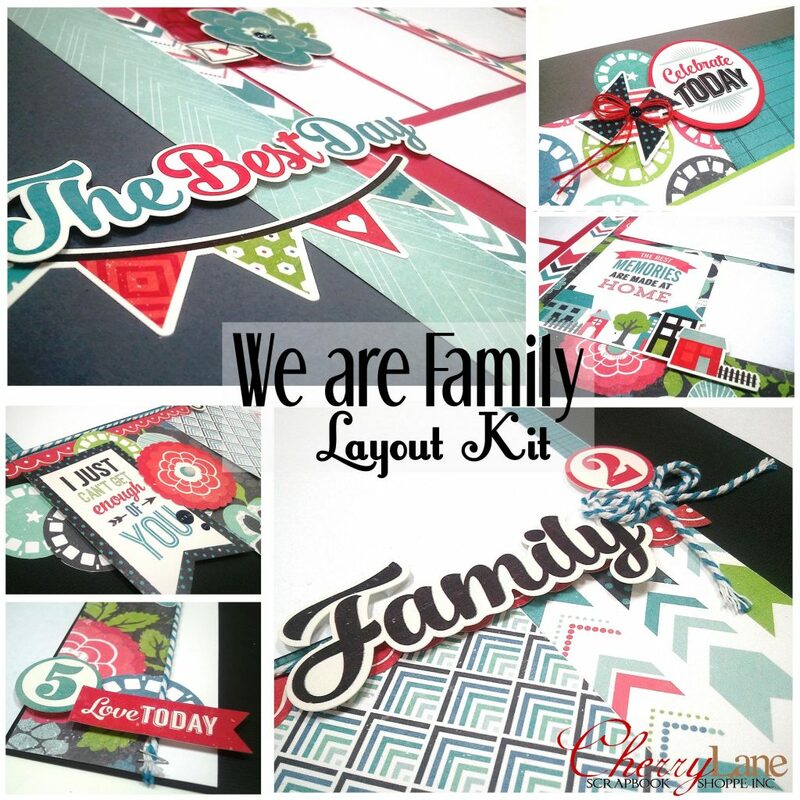 This kit features Echo Park’s “We Are Family” collection and the pages are perfect for your everyday moments & celebrations with your favourite people! The kit contains everything you need to create eight pages (4 double layouts) as shown, includes full colour photos & detailed written instruction – with a bunch of extra cards so that you can customize these to suit your photos 🙂 Kit price is $50 each, available in the shoppe or may be shipped. Call or come in to get yours, while they last! 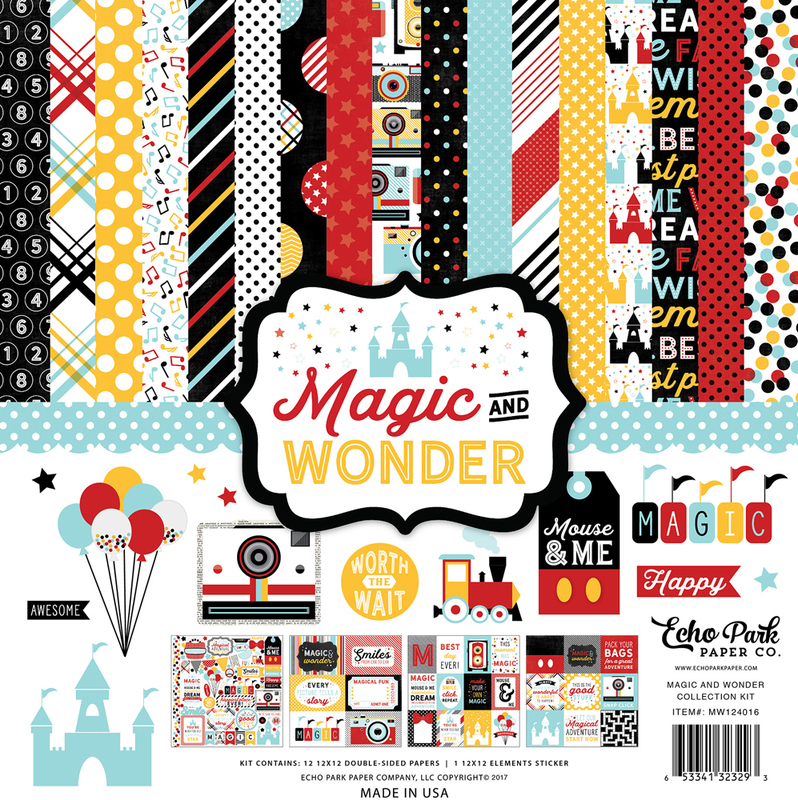 Revisit the happiest place on earth with “Magical Adventure,” a new theme park travel release from Echo Park Paper! 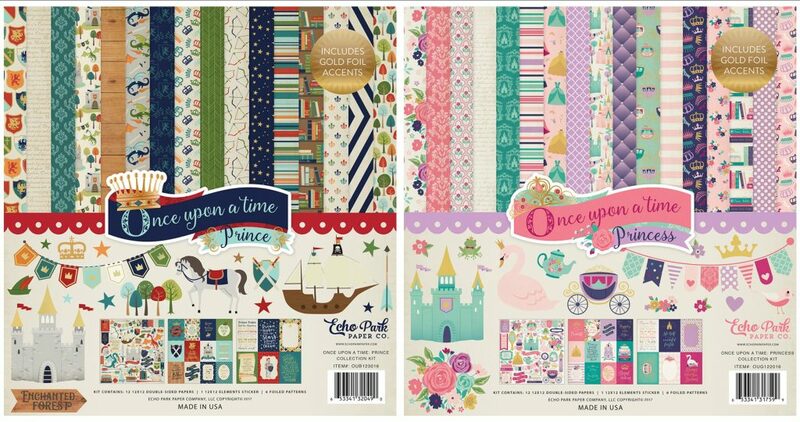 This whimsical collection highlights family time, treasured photos, and making memories with those you love. 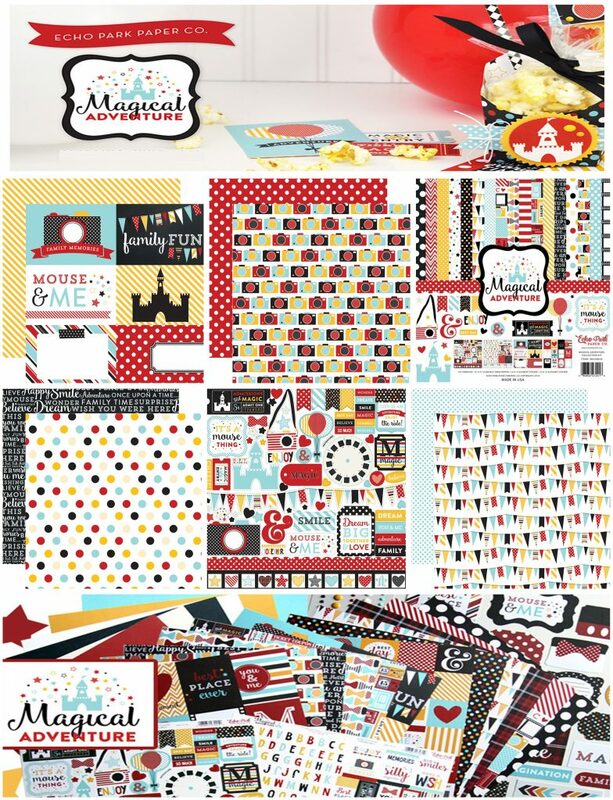 With a color scheme inspired by the Mouse himself, Magical Adventure is the perfect ticket for your treasured Disney photos. Pick it all up in the shoppe today! Pick yours up in the shoppe today! 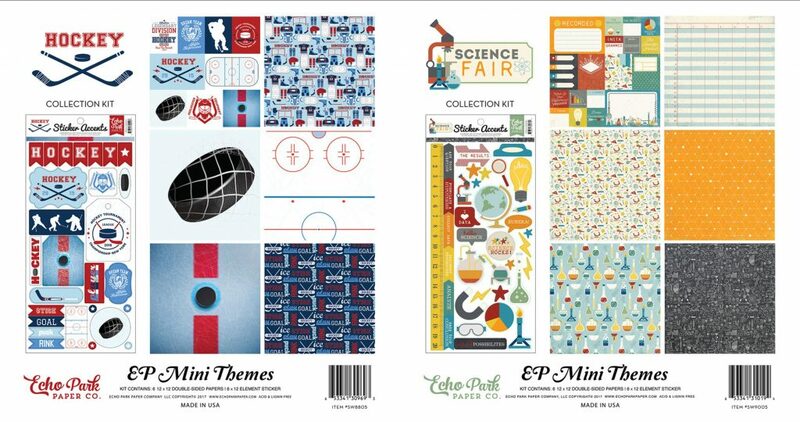 NEW Echo Park collection kits have arrived! 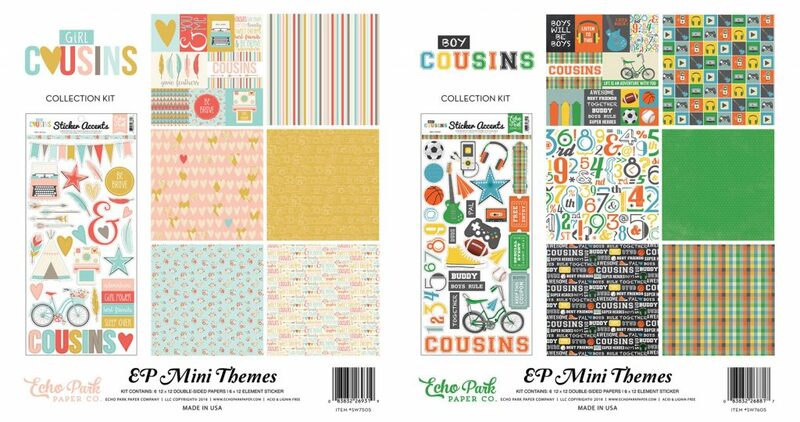 Come in and pick up one of these sweet cousins mini themes, available in both the boy or the girl edition, with just the right amount of paper & stickers for a project or two! Hands up if you love Page Kits! We sure do! 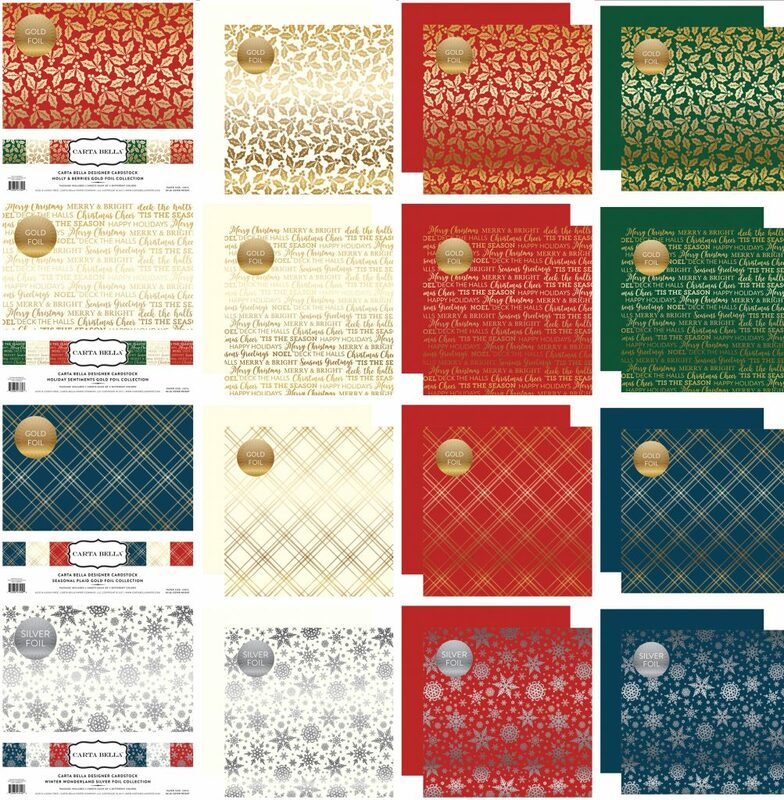 We have a handful of these kits up for grabs… AND you’ve never seen these ones before! 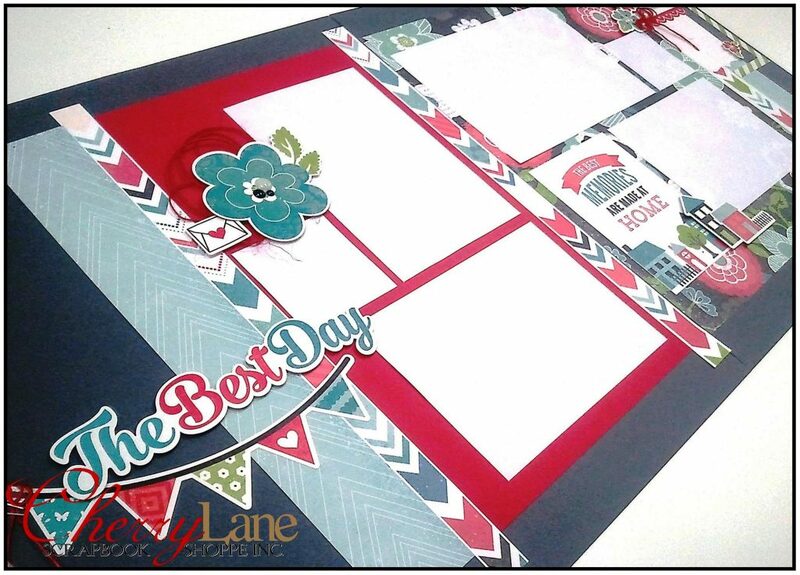 …unless you were one of the lucky ladies who attended on National Scrapbook Day… then YOU have this kit 😉 Each kit includes twelve patterned papers, a 12×12 sticker sheet, coordinating cardstock and detailed instructions to create the pages shown. AND you will have LOTS of extras to create even MORE pages! Kits are $24.99 each. Call or come in to pick up yours today!